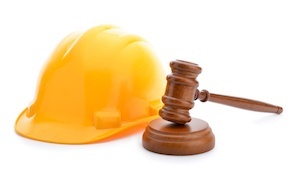 The construction lending, negotiating and litigation attorneys at KALIS, KLEIMAN & WOLFE represent clients involved in the construction industry, including owners, developers, investors, lenders, engineers, architects, contractors, subcontractors, and more. We regularly assist borrowers ranging from commercial developers to not-for-profit entities. We also assist national, regional and local banks, underwriters, insurance companies, and lead or participating lenders in multi-lender or agency transactions. For over 70 years combined, KALIS, KLEIMAN & WOLFE‘s partners have led and participated in construction financing, construction litigation, real estate transactions, and development projects that have helped shape Fort Lauderdale’s skyline and South Florida’s growth. Our knowledge of Florida construction law and our familiarity with construction lenders’ requirements helps provide a smooth closing process for our clients. Attorneys Neal Kalis and M. Scott Kleiman pride themselves on not just being lawyers, but being lawyers and counselors. The firm’s personal attention to its clients’ needs and desired results produces a customized approach that this firm delivers to each construction client and case. For more information, contact us. We are never too busy to answer your questions.